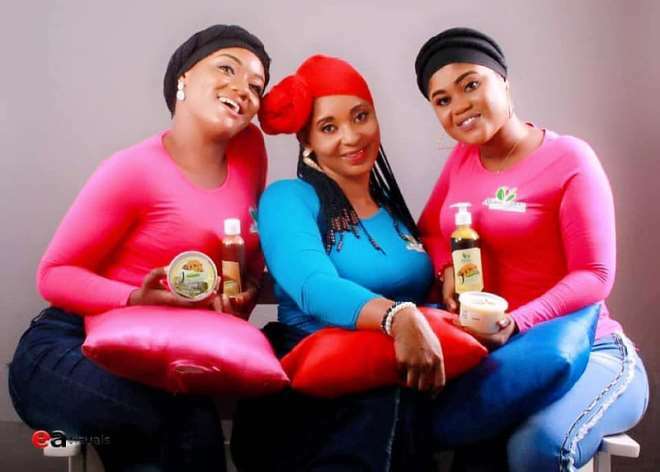 Fathia Amin a Ghanaian philanthropist, Muslim model, entrepreneur, beauty consultant is finally set to launch her luxury line of natural skincare products. 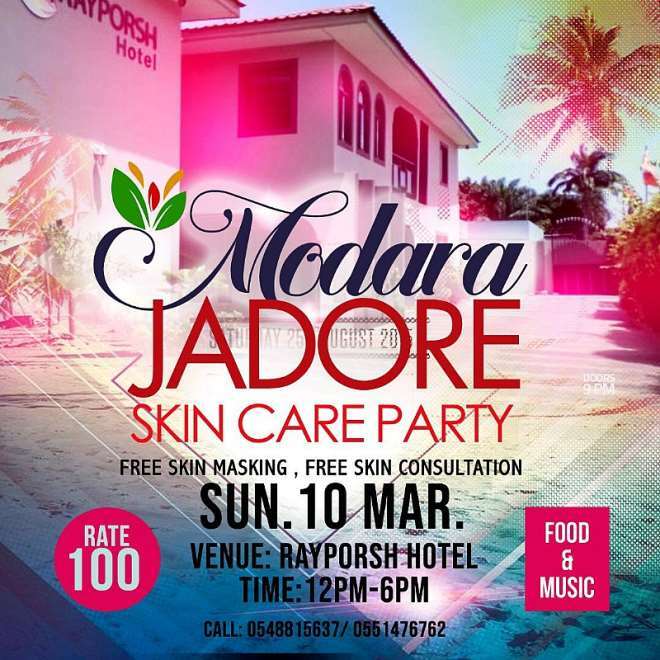 The Launch of MODARAJADORE SKIN CARE PARTY is scheduled on 10th March 2019, will take place at Abelemkpe Accra at Ray Porsh Hotel. Fathia Amin is a Pan African brand that uses ethically sourced high grade of Shea butter from Ghana and other rare natural ingredients to create unique all-natural products. The range currently includes Body Creams, Soaps and Scrubs, Coconut oil. MODARA JADORE SHEA Body Cream is a super-boost of hydration in a velvety-texture cream that enhances the appearance of the skin in a lasting way. It has an intense, invigorating action, suitable as a moisturizer for every skin type and particularly effective on very dry skin. Its deep nourishing action ensures 24-hours lustrous skin. MODARA JADORE Scrub uses granules of walnut husk to promote cell renewal and keep the skin soft and smooth. The granules of walnut husk, the powerful action of hyaluronic acid, the concentration of Dermocea’s algae, optimized by Vitamin E’s antioxidant properties, achieve superior results. In an interacting with Mrs. Fathia Amin She said ‘’My country Ghana is historically rich with natural raw materials like Shea Butter, coconut and a lot of healthy ingredients and this story need to be shared with our fellow Africans and the rest of the world. Entry to the party is cool 100 Ghs which will get each raves a Set Of MODARAJADORE NATURAL SKIN CARE PRODUCT, drinks all natural healthy, food as well as free masking, free consultation on how minimize your skin for a healthy Lifestyle. The launch is to introduce the products to the beauty market, plans are far advanced to hit the African market after the launch.